The Internet continues to grow at a phenomenal pace. It seems like there’s no end to the amount of information that is available. All you have to do is log on, and the world is at your fingertips. If you’re a writer, this is good news, because someone has to supply the text, statistics, and other relevant data to the various websites. As with any other type of writing, there are things you can do to increase your chances of being published on the World Wide Web. Following are a few web content writing tips. Writing for the Internet is different than writing for a newspaper or magazine. Most online users are looking for something specific when they visit a website so they may not read an entire page or even an entire section. Instead, they may only read a paragraph or two, which means you will have to provide the information they’re looking for quickly and efficiently by limiting yourself to one idea per paragraph. Even if something is extremely important to you, it may be out of place for the website you’re writing for. It shouldn’t be included in your content. People search out a particular website because they’re looking for information about a certain topic, which means you should write about the subject people are interested in and not expound on your own opinions. Unlike newspapers or magazines, writing web content attracts people who scan a web page and don’t necessarily read an entire article. What that means to you as a web content writer is that you should use lists whenever possible. When someone is searching for a certain subject they often visit numerous websites looking for specific information. They’ll likely scan your content and if your list contains something that draws their attention, they may stop surfing long enough to read it. Internet users have so much information readily available that they may not take the time to read a lot of flowery speeches or long, drawn out sentences. You would be much better off if you get to the point quickly, and write short, concise paragraphs that convey information succinctly. Whenever possible, you should include links to other websites that contain information associated with your subject. For instance, if you’re writing about how to apply for a school loan, you could include a link to a website that contains additional information about school loans or to the website where you can download the Free Application for Federal Student Aid. Although some web pages are mere ramblings posted by someone trying to give further details about an idea they have or something they would like to sell, most websites contain content that is more expertly written. These are the sites you’ll be trying to gain access to--or will be competing against. What this means is that you’ll have to be professional in your approach and adhere to the basic rules of grammar, punctuation, and spelling. When people surf the Internet looking for information regarding a specific subject, they may land on the website you’re writing for. When that happens, you want to attract their attention quickly so they won’t jump to the next link. In order to accomplish that, you should use section titles that attract a reader’s attention. The title should be something relevant to the overall subject, but specific enough to draw a reader’s eye. As you write web content, you have to keep in mind that you’re not only writing for a possible reader, but you must also satisfy your editor. Part of your job as a writer is to make your editor’s job easier. The less time they have to spend correcting your errors, the more likely they will be to come back to you with more work in the future. 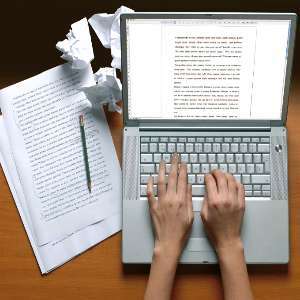 Among your most important roles as a web content writer will be to supply informative articles that are well written. Simply putting a few hundred nouns, adjectives, and verbs together in a manner that takes up space or attracts people’s attention isn’t good enough. The content should inform and educate. Another important aspect of web content writing is its originality. If you can supply content that doesn’t merely regurgitate information that already exists, but explains it in a fresh, exciting way, you will be able to succeed as a web content writer. Guest post from Casey Lynch. Casey writes for HomeInsurance.org.